Now you can have your daily share of the newest, the hippest, and premium shows that showcase all the exciting things life has to offer. Lifestyle Network can now be availed via the basic SKYcable TV plans, specifically on Bronze 499 and Dual Def 549 for the same monthly fee since August 20, 2014. This is a definitely a great treat to subscribers who value work-life balance while juggling their responsibilities at home, work and community. Let Lifestyle Network bring you to an infinite world of possibilities and experience what living is all about through its diverse lineup of programs. From food to well-being, fashion and beauty, travel and entertainment. Enjoy the good life right in the comforts of home. Some of the premium shows to watch out for are: Chef’s Table and Our Awesome Planet featuring the most delectable dishes; Fash, Momworks, and Cityscape sharing tips on personal well-being; Travel with Ten and Filipinas Undiscovered; and finally, upgrade your home-life with Amanda Loving Life, Green Living, and Urban Zone. Furhtermore, get to watch the glitz and glamour of the 66th Annual Primetime Emmy Awards, one of the world’s most prestigious award-giving bodies honoring the best in US primetime TV, on August 26, 2014 at 7AM. Find out the winners on this year’s top shows and actors as chosen from among the best and the brightest in the television industry. 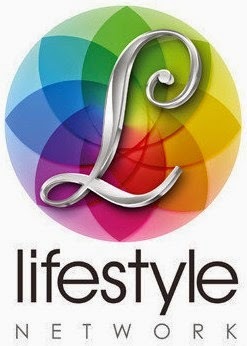 So live life and live it to the fullest with Lifestyle Network on Ch. 52 in Metro Manila, Camanava, Rizal, Cavite, Laguna and Bulacan, and on Ch. 601 in Cebu, Davao, Bacolod, Iloilo, Baguio, Dumaguete, and General Santos. It is also available as an add-on channel via Select for Php20 per month in Standard Definition. This latest premium offering further enhances SKY’s already formidable line up of programs for an ultimate cable TV viewing experience! Enjoy all these and more with the entire family via SKYcable, the country’s leading cable TV provider. Discover more ways of enjoying your digital cable TV with SKYcable’s widest choice of over 190 channels, flexible subscription options via SELECT, iRECORD feature that records, pauses and rewinds live TV, and real-time coverage of live concerts and sporting events via FREE VIEW and PAY-PER-VIEW.